Our bus arrived at the bus bay in Gov. Pack Road after a long 6-hour trip from Cubao. Upon stepping out, I instantly knew I underestimated how cold this city could get. It was another chilly day in Baguio, maybe 16 to 18 degrees, at 12-frickin'-noon. Note to self: living in Baguio for 4 years doesn't make you cold-resistant. I took out my windbreaker. Yes, I know it's lightweight and doesn't do much to keep me warm, but I didn't have much choice at the time. Josh was just across the street, waiting for me to arrive. When he saw how shivery I was, we've easily agreed (and that's a first because deciding where to eat usually takes us half an hour or so) to go for that soup restaurant near Engineers' Hill we've been eyeing for so long. Yes, a quick ramen fix is just what I need! 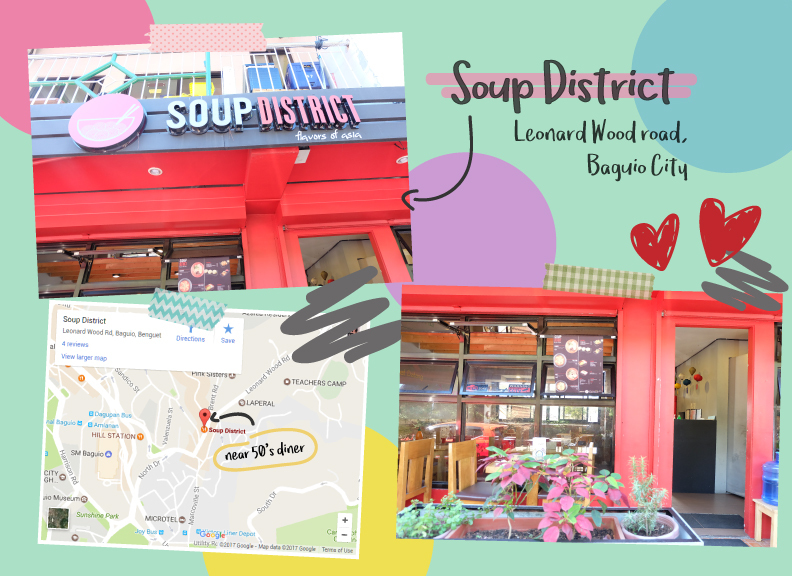 Soup District: Flavors of Asia is located along Leonard Wood Road in Baguio City. If you've been to the old 50's Diner, this one's about two stores away (and also, below Grumpy Joe). It's a ~kilometer away from the Victory Liner bus station. You could opt to walk your way or easily hail a cab which would cost you around 35 to 40 pesos. 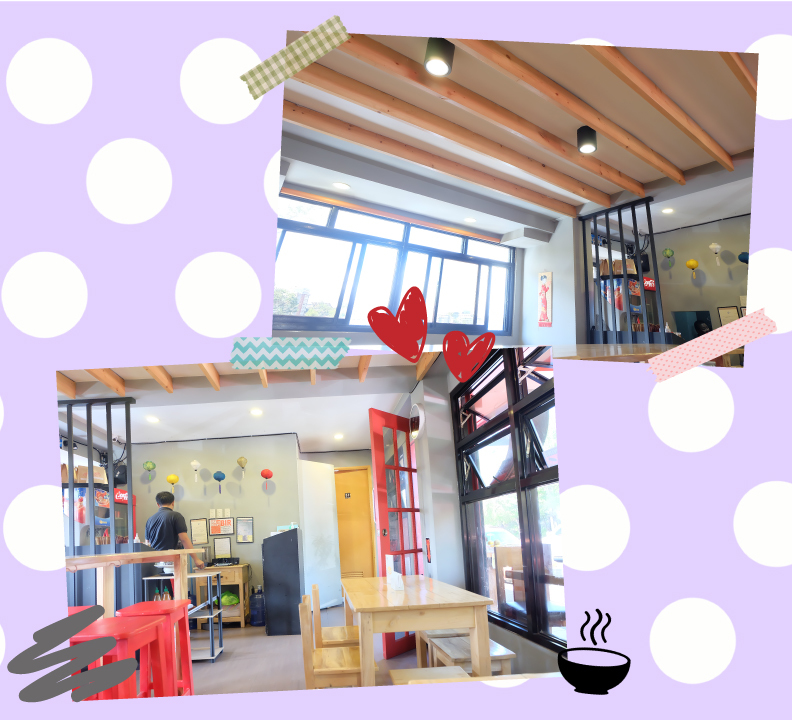 Their interior is quite warm and cozy. Wooden tables and chairs occupy the area which could easily accommodate up to 20 to 25 people, making the place very intimate. Perfect for dinner dates or lunch out with family and friends. I knew I said I needed a ramen fix, but trying something new got the best of me (and I was sooo hungry, thus the rice meals). 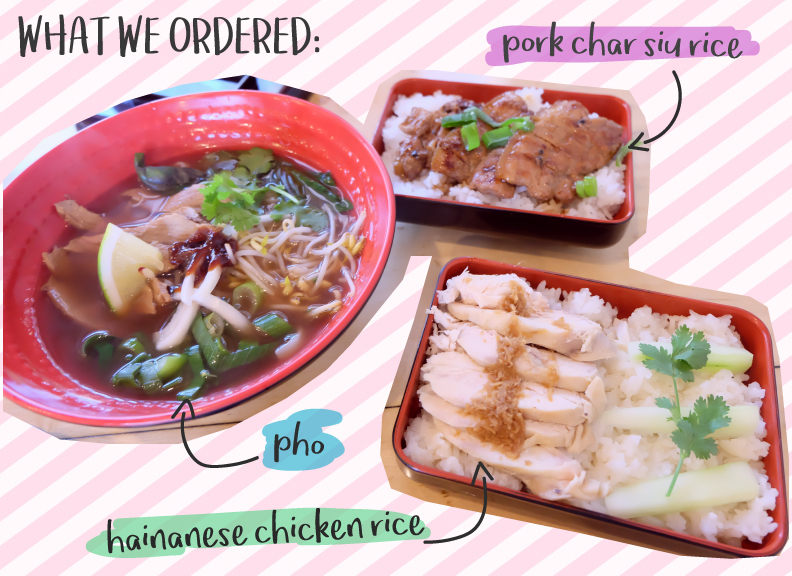 So Josh and I ordered their best-seller Viet Pho, Hainanese Chicken Rice (for me) and Pork Char Siu Rice (for him). 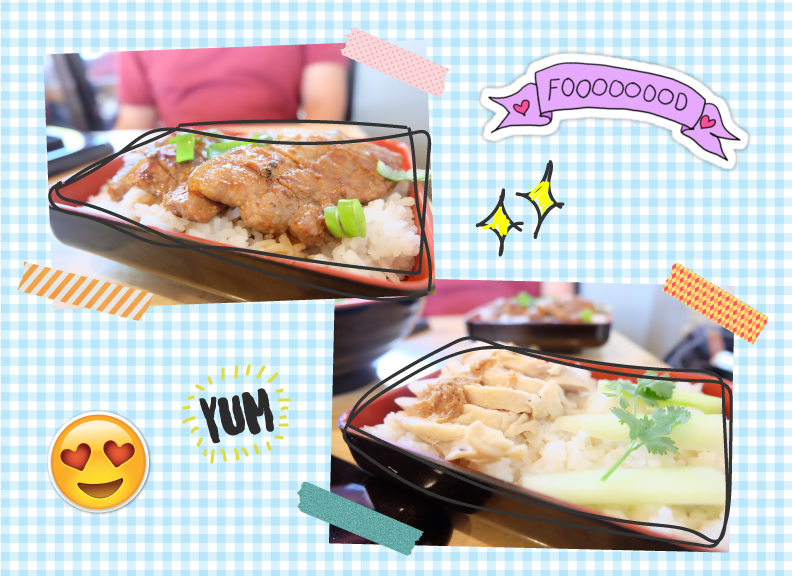 The rice meals were okay. Both the chicken and pork were perfectly cooked. I personally liked the Hainanese Chicken as it goes well with its ginger sauce. But they're called the Soup District for a reason, so let's give the spotlight to the soup that we ordered. Pho is known for its aroma infused with different herbs and spices like cinnamon and anise for the broth, coriander and basil for garnishing. And Soup District's Pho did not disappoint! The perfectly-seasoned broth combined with the mint-y aftertaste of the herbs turned out to be perfect for Baguio's bed weather. For an additional flavor, I recommend adding some sriracha sauce according to your preference. I'm really not into anything spicy, but this one dropped the bomb. The overall dining experience was great! I love how cozy their space is and how they maximized the windows for the natural light to come in, making their place very homey and Instagram-worthy (as you can see from the photos above). The quality of their food is superb, and plus points for being affordable. 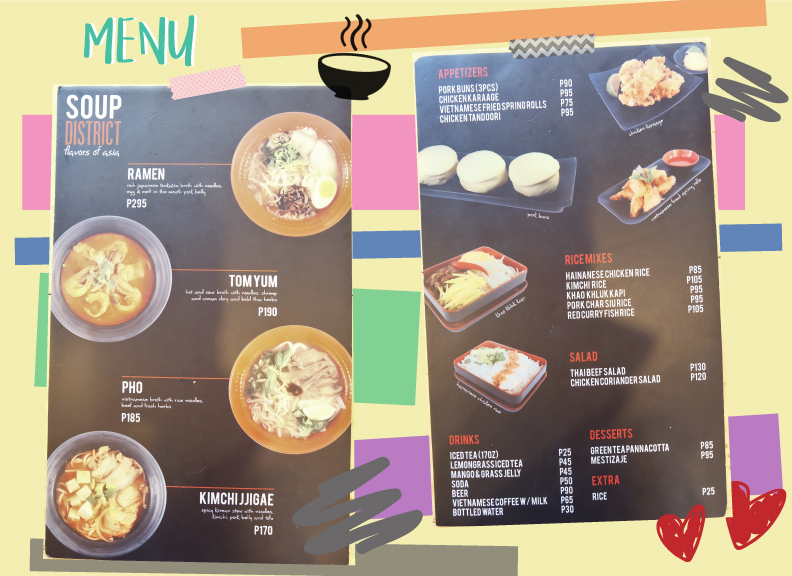 So if you're craving for an authentic taste of Asia, whether its the Japanese Ramen, Viet Pho, Thai Tom Yum or Korean Kimchi Jjigae, Soup District is the spot for you! 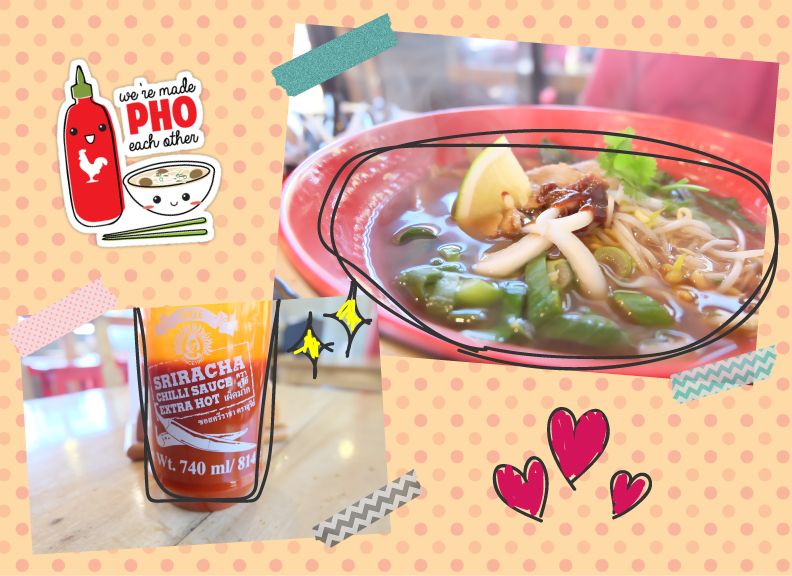 The variety and authenticity of Soup District is definitely worth coming back for and I have yet to try their other soups and dishes next time I'm around. here in my Baguio City Food Guide!